An important thing to know about applying for an FHA mortgage in the new year is that FHA loan limits are higher in 2019, giving people the ability to borrow more to buy a home. And you don't have to stay with your current lender when you are doing an FHA-to-FHA refi loan. January 31, 2019 - How do FHA home loans offer more options to home buyers in 2019? There are plenty of ways but the first and most important thing to know about applying for an FHA mortgage in the new year is that FHA loan limits are higher in 2019, giving people the ability to borrow more to buy a home. That ability to borrow more should not be misinterpreted, though; you won’t get to purchase a home with an FHA mortgage in 2019 with the current year’s higher loan limits and expect to get cash back on the deal; unless you are getting a legitimate refund at closing time cash back to the borrower is not permitted. But there ARE plenty of options for home buyers and refinancers in the new year. 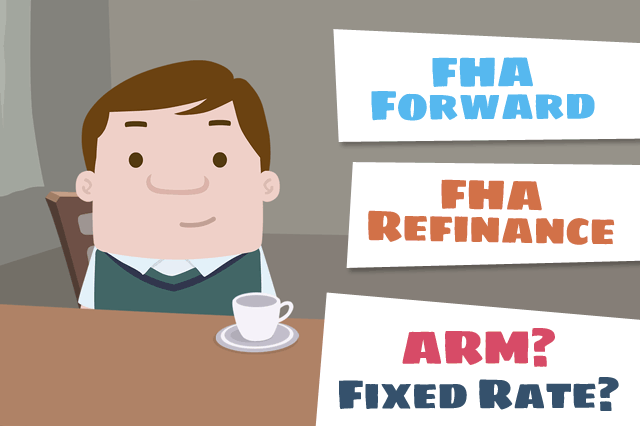 Refinancing a home loan with an FHA mortgage can help you get into a lower interest rate, out of an adjustable rate mortgage, or do some home renovation work using refinance loan funds to pay for the labor and materials. Remember, you do not have to stay with your existing financial institution even when you are doing an FHA-to-FHA refi loan. Shopping around for a new lender may give you surprising results, and even if you choose to stay with your current financial institution knowing the other options can help you to make a more informed decision.